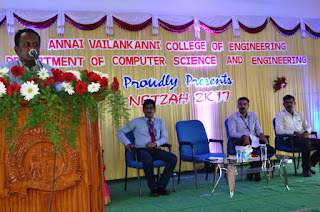 The department of Computer Science and Engineering of our college conducted an intra college symposium 'NETZAH 2K17' for circuit branches on 16 March, 2017. Students from various departments participated in the events. 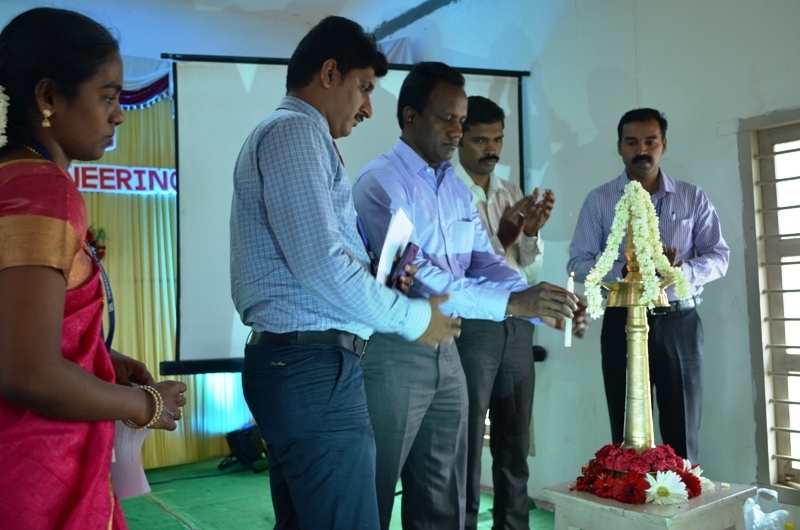 The convenor of the symposium was Mr. G. Jeyaram, HOD/CSE and the symposium was co-ordinated by Mrs. R. Hema, AP/CSE. The symposium included various events such as Paper Presentation, Code Debugging, Spot Topic, Quiz, Connection, Logo Finding and Ad-Mad. Various committees were framed for the successful completion of the symposium. 23 Students Participated in paper presentation event, 28 Students Participated in Code Debugging, 8 Students participated in Spot Topic, 18 Students participated in Quiz, 38 Students participated in Connection, 28 students participated in Logo Finding, 38 students participated in connection and 38 students participated in AD-MAD. For all the events judges were invited from various departments. These events are conducted to motivate and encourage the students of AVCE. The symposium was inagurated at about 9.30 am with Tamil Thaai Vaalthu, followed by lightening of kuthuvilaku. The welcome address was given by Ms. G.K. Rasathi, Final year CSE. The presidential address was given by Dr. P. Senthil Kumar, Principal of AVCE. He motivated the students in participating in various events in National & International conferences and events in order to improve their skill sets. 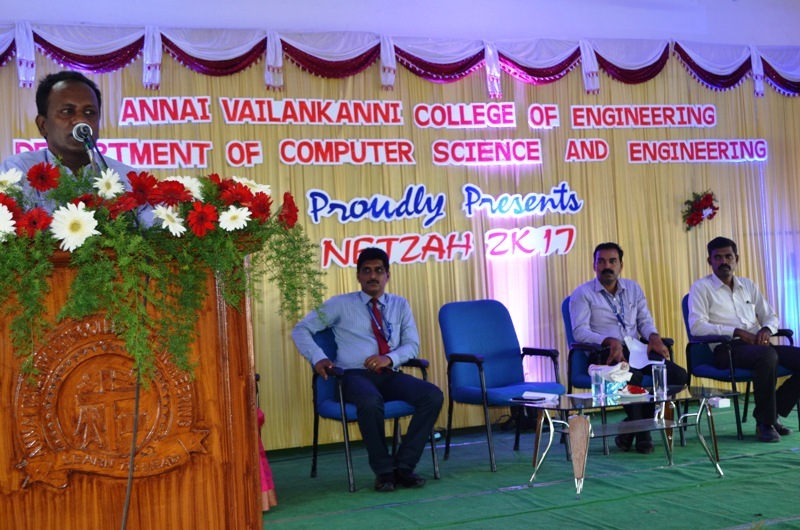 The guest of honour for NETZAH- 2K17 was Mr.
Dyan Johnson, M.D, Polymorph Technologies, Singapore & CEO, Accordex System, Nagercoil. He gave an inspirational speech to the students about how to develop their skills and create innovative ideas in software applications. After the inagural function, the technical session began with the paper presentation event. The session was continued with various other technical events. In the valedictory funtion, the winners were awarded with certificates & medals by the chief guest Mr. V. Ravi Sankar, Area Operation Head, Ion Digital Assessment Platforms, Tata Consultancy Services. Vote of thanks was given by Ms. P. Suman Yadav, Third year CSE followed by the National Anthem.